The present generation is the generation of applications. Once smartphones have invaded the world, everyone is addicted to this practical and overly handy technologies aimed to improve all areas of our lives. Number one in our best lifestyle apps list is this little nifty tool. It is a free download. This is a calculator. It has many formulas and symbols. You can even save it for future use. We can even share the best coils with our friends and even on social networks and messengers. You can open your coil on your iPhone and try them all! The new update has come up on. Get it here for iOS. This app provides all features of the native Phillips hue Android applications such as lighting presets. It can be used for scheduling events to as an alarm and timer. With huge pro’s Wi-Fi detection, you can turn on lights as you walk into your house and off when you leave. It has added animation presets and bulbs support. Get it here for Android. The cost of this app is $0.99. This is a complete video guide to learn how to make slime. This application includes the following guides: How to make slime, How to make homemade glowing slime, Slime recipes without borax, Making slime for a party, How to make slime toys, how to make slime stress ball etc. Get it here for iOS. You can download this for free. Countdown enables you to quickly view your countdowns in real- time with ISO 8. It provides 5 free filters for background photos too. With this, you can use your own photos as background for Instagram and Facebook. And it has many other features. Get it here for iOS. Tip from users: This app has the best design, and you can also customize background wallpapers too. Dog monitor helps to keep an eye on your dog while you are busy working. You can watch, speak and spy on your dog. It is user-friendly and you can know when your dog barks, track every voice etc. The cost of this app is $3.99. Get it here for Android. Next amazing participant of our best lifestyle apps list the Day One. The cost of this app is $4.99. You can capture your life events. Day one’s elegant interface makes journaling about your life a simple pleasure. Some of the features include: ability to select multiple photos and create several journals, end- to –end encryption, day on sync 2.0, map view, custom reminders, entry management, timeline filters, exportable backups and so on. Journaling has never been so fun. Get it here for iOS. Tip from users: One of the best lifestyle apps with security and other features. So, you can save you pictures safely. This app is for free. Whenever we have to meet the person you have an employee or verify about the person you have been a social media friend too, then this app is the best way to know it. Know about your new babysitter to your next date. Get it here for iOS. Tip from users: This app is quite handy to check out for some dirt on the potential date. It warns if his or her social profile is legit or fake. This is a reliable and engaging alarm clock app with amazing features. It is the advanced alarm system with latest alarm features which helps you in waking up in time without fail. This app is cool and free. Get it here for Android. Tip from users: There are many extra features like 10 themes, unlimited alarms and much more. This is an alarm app, which rings on preset. Has many interesting features like preset dismiss mode register place turn off mood, taking a picture in the registered place after dismissing etc. This cost of this app is $2.29. Get it here for Android. This one turns on the digital magnifier which helps you to vision clearly without carrying a magnifier separately. Magnification, micro scoping, LED flashlight, macro camera, image freezing, embedded photo viewer, image filters, WYSIWYG saves are its main features. Currently costs $1.77. Get it here for Android. Tip from users: You can definitely see things you can’t see with your naked eye. Another alarm app in our best lifestyle apps list. But this one is special – it has a sleep cycle tracker. This has no subscription but has a lifetime license. The cost of this app is $0.77. Get it here for Android. Tip from users: The app has been designed so carefully that you even want to set an alarm yourself just because of the prebuilt songs. This app contains only the mentalist analog clock widget. It’s a luxury clock widget and has optional date display on desktop, themed HD home screen, wallpapers, multi-language and many other features. The cost of this app is $3.00. Get it here for Android. Tip from users: This app has best clock features. This app can be downloaded for free. This enables people to stay connected with their loved ones. You can create groups, chat, show location and much more. You can send your real-time alert and track a stolen phone too. Get it here for Android. Fidget spinner tricks app is similar to the fidget cube, but a bit professional. This is a tri- spinner, but there are many types. So, you have a wide range of choice. This app is for free. Get it here for Android. Tip from users: This app can easily meet all the requirements of real fidget spinners which are being a trend followed many today. 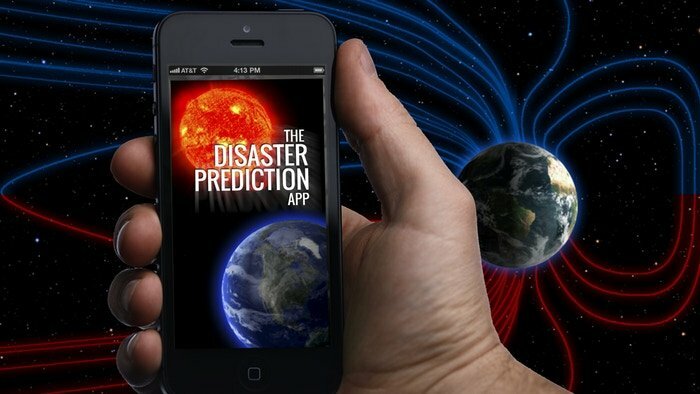 Disaster prediction app detects the solar influence over the earth and our lives. There are two portions – the weather portion and the earthquake portion. This is a perfect app to detect earthquakes. This app costs you $3.09. Get it here for Android. Tip from users: I think this app can help you in a lot of ways in escaping from disasters. So, having this app on your phone doesn’t make any disadvantage. And what’s the best lifestyle apps ever in your opinion? Try the ones we’ve picked and share your thoughts with us.